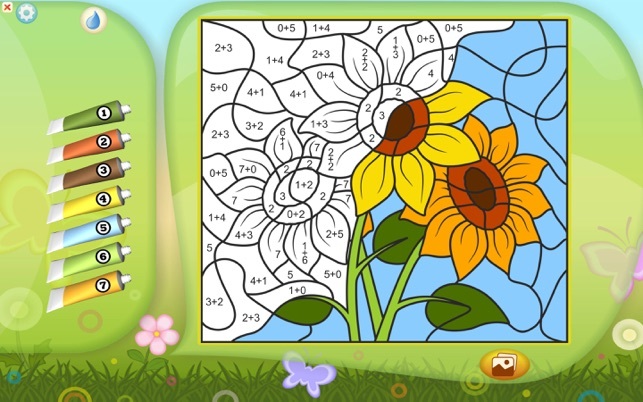 If your child likes flowers, this coloring game is made for them. Beautiful flowers make them feel the joys of spring, and the painting process turns into an enthralling game where they can bring their fantasies to life and draw a red daffodil, or a blue sunflower. 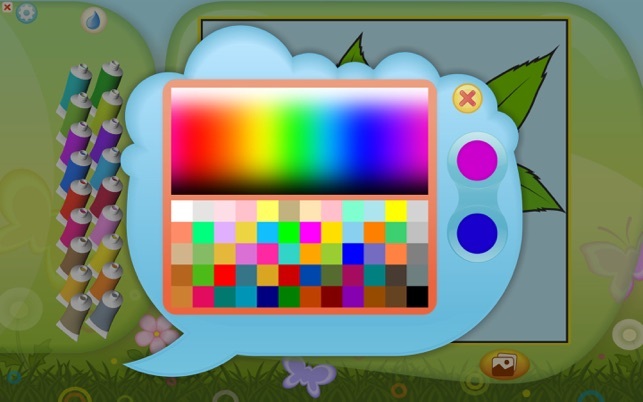 - Added a new coloring mode for children under 4. It doesn't require you to pick colors - just click on images and they will be filled with the right colors on their own. - Added a new game mode where images are colored by layers - from the largest elements to the smallest ones. She just started on the numbers, dabbled with the addition and subtraction but is still loving it! Not sure it’s worth $5 but if she ends up doing her addition and subtraction then it’ll be worth it! I FIRST DOWNLOADED/INSTALLED THE FREE APP. 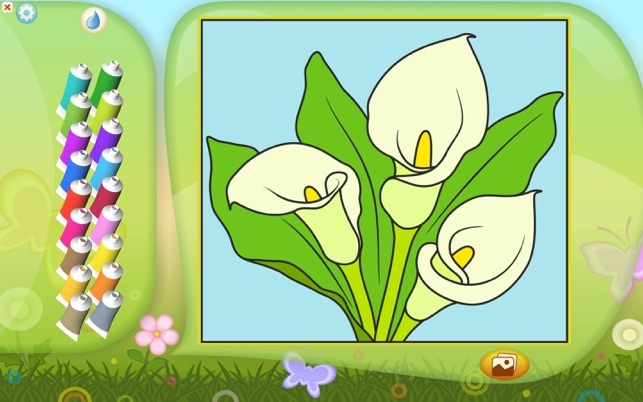 I WAS SO EXTREMELY IMPRESSED BY THE BEAUTY OF THE FLOWERS AND THE COLORS AND THE WAY THEY WERE RENDERED…THAT I PURCHASED THE FULL APP. THE PRICE IS REASONABLE AND THE BEAUTY AND JOY THAT YOU GET FROM IT FAR SURPASSES THE COST. IT IS WORTH EVERY PENNY AND THEN SOME. 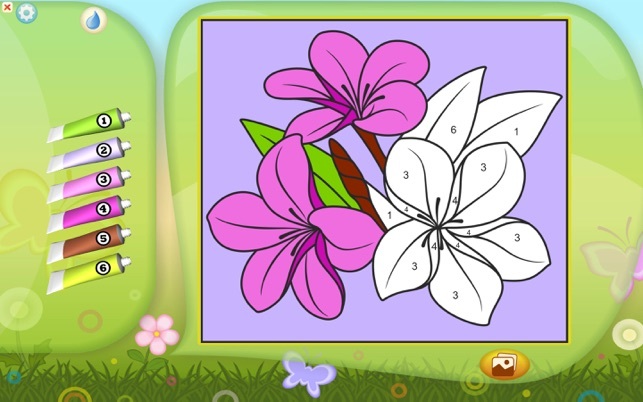 I WOULD HIGHLY RECOMMEND THIS APP…NOT ONLY FOR CHILDREN BUT FOR ADULTS WHO LIKE TO COLOR BEAUTIFUL FLOWERS. THE PAINT TUBES AND BRUSH WORK AS MAGIC AND WHEN YOU USE THEM, THEY GIVE OUT A LITTLE PUFF OF ARTIFICAL SMOKE SHOWING THE COLOR THAT IS CONTAINED WITHIN THE TUBE. IT IS A FABULOUS APP. I CANNOT SAY ENOUGH POSITIVE THINGS ABOUT IT. TRY THE FREE RENDITION AND SEE. At it's simplest, it's a "hunt the number" game, giving our goddaughter practice using the mouse effectively; using more complex options, it becomes a tool to teach color application and shading. Moreover, the free-form options (any color, anywhere), and the ability to swap out colors from a larger palette, make coloring-by-mouse even more fun, and creative. It will keep many young ones, probably up to age 11 or 12 for girls at least, entertained for hours. 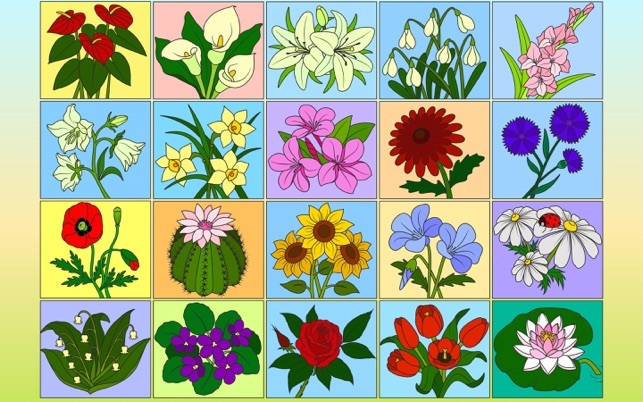 My only regret is that the program does not name the flowers that you are coloring.